Established in 1981, the Tenderloin Neighbourhood Development Corporation (TNDC) serves San Francisco’s hardest-to-house populations, including many with histories of homelessness. TNDC creates and maintains affordable housing, promotes stabilisation and revitalisation of the neighbourhood, and offers essential support services for its residents. TNDC owns and operates 30 buildings, housing over 3,000 residents. 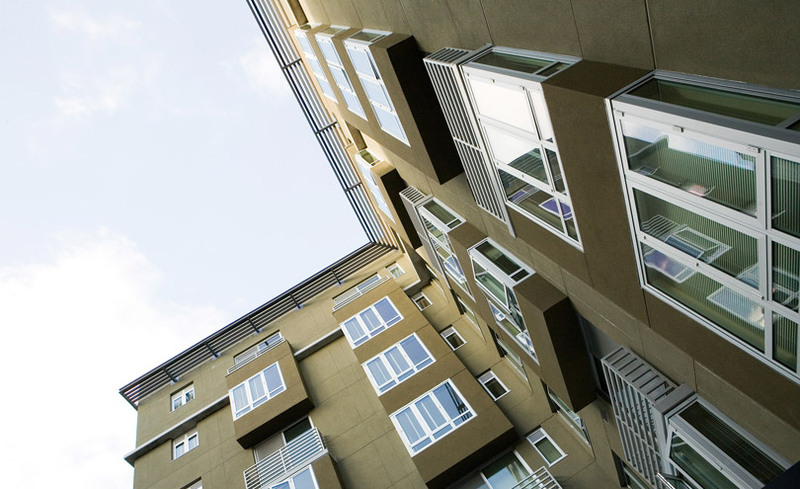 The 990 Polk Street project was designed to provide affordable housing for 150 vulnerable older people; housing formerly homeless older people with mental health problems, together with low-income older persons. The programme is expected to be transferred and TNDC has already been collaborating with other local and national organisations. To provide safe, affordable housing with support services for low-income people in San Francisco’s Tenderloin community and for TNDC to be a leader in making the neighbourhood a better place to live. California has the highest rate of homelessness in the United States, with more than 360,000 people sleeping on the streets or in shelters. The city of San Francisco is home to 750,000 people. The Bay Area suffers from a severe disparity between median income and housing costs. Because of the high cost of living, San Francisco is a city composed of more renters than homeowners. The Tenderloin neighbourhood, where 990 Polk Street is located, is one of the most densely populated neighbourhoods in the United States, with over 30,000 residents living in one third of a square mile, including more than 4,000 school-age children and 5,500 older persons. The Tenderloin neighbourhood’s poverty and crime rates are among the highest in the city. The median income of the Tenderloin community is US$15,000, which is less than 22 per cent of San Francisco’s Area Median Income of US$71,100 per person. For low-income older persons, finding affordable housing in San Francisco is especially difficult. Many low-income older persons struggle with their physical and/or mental health needs. Often their sole source of income is a pension or Medicaid, leaving them few funds to meet basic needs such as housing, food, and medication. TNDC owns and operates 30 buildings, housing over 3,000 residents. Most TNDC residents live on incomes of less than US$13,000 per year. Almost one third of residents have disabilities or special needs, a diagnosed mental illness, and/or are living with HIV/AIDS. Many, though working, do not earn enough income and require a subsidy or combination of subsidies for housing, food, and to meet other basic needs. Polk Street’s nine-storey housing complex offers much more than an affordable place to live. It provides a sense of community to a diverse, multilingual group of 150 formerly homeless and low-income older persons (i.e. aged over 55). Services, conveniences, design features and amenities targeted specifically to this population enable residents to live affordably and independently. Of the 110 units, 50 units are for formerly (or at risk of becoming) homeless older persons who were referred by the San Francisco Department of Public Health as Direct Access to Housing Units (DAH). Within those 50 units, 10 units are set aside for older persons with severe mental health needs. The remaining 60 units are for households earning less than 50 per cent of the Area Median Income (US$35,850 per year). Seventy-eight units are occupied by one person, 24 units are occupied by two people, and eight units are occupied by three people. In order to best meet the older persons’ diverse range of needs, the project provides a supportive service model, which includes individual and group counselling, referrals to other social service agencies in the community, cooking and nutrition classes, new home orientation, basic life-skills classes, and computer training. In addition, an on-site nurse from the San Francisco Department of Public Health provides referrals and follow-up to primary care physicians, health benefit counselling, and client advocacy, as well as substance abuse and psychiatric treatment referrals. Residents receive additional support in the form of home-delivered meals and transportation services, among others. Additionally, the 50 older persons who were formerly homeless are supplied with basic unit furnishings to give them a fresh start. 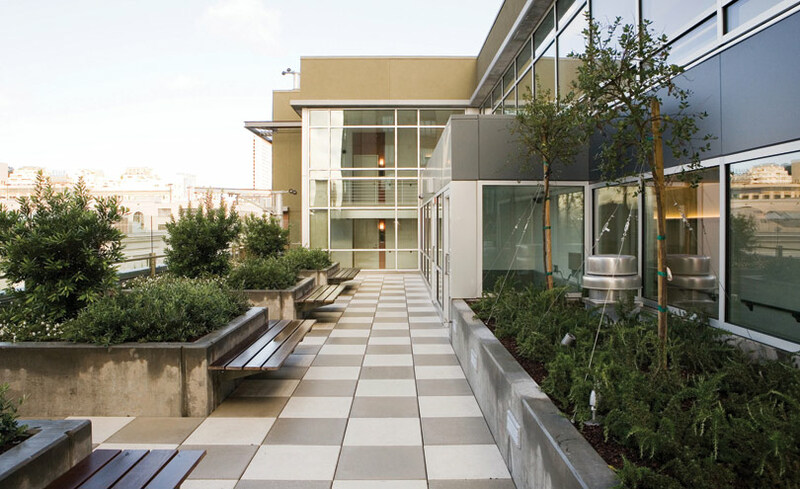 990 Polk Street’s key features comprise not only its supportive services model, but also its innovative and green design. In December 2008, the building was recognised by Enterprise Community Partners, a national community development and affordable housing-focused non-profit organisation, for its green features and design. In addition to housing, the building has 2,850 square feet of retail space to help revitalise the neighbourhood, which is currently utilised by a coffee shop and a small grocery store. 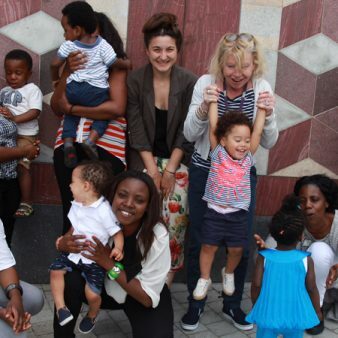 Both spaces attract neighbourhood and building residents, dissolving social barriers between subsidised housing residents and members of the wider community. 990 Polk Street’s total development cost was US$35.1 million, though the high density of the project has kept the cost per unit low (under US$319,000). Loans from private and public institutions covered the development costs (i.e. The City and County of San Francisco; Mental Health Services Act Housing Programme; Federal Home Loan Bank AHP Loan from Mechanic’s Bank). Service costs are paid through a grant from the City of San Francisco Department of Public Health . Property operations are funded 72 per cent by residents’ rent payments, with the remainder funded from public rental subsidies under the City’s Local Operating Subsidy Program (LOSP). Tenant rent subsidies have been a part of the affordable housing landscape in the US for more than 50 years. However, the subsidies provided by the Federal government nationally for housing homeless people are oversubscribed by a factor of four to one. 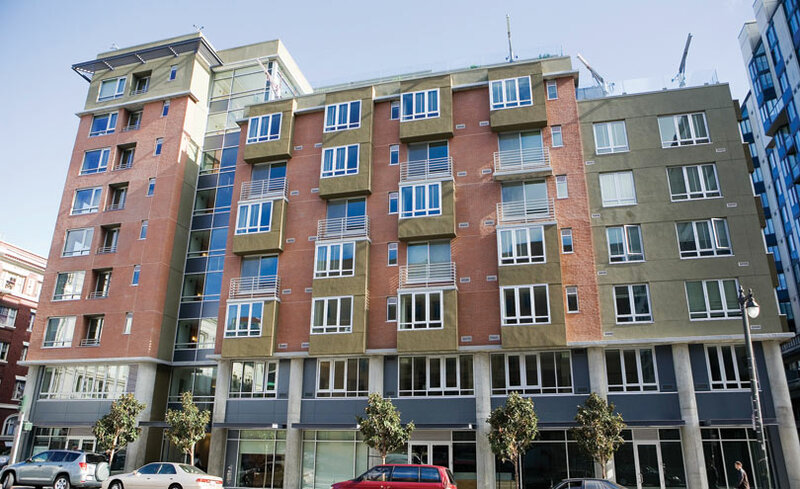 The type of subsidy utilised in this project (LOSP) is an innovation developed in a partnership between the public and non-profit sectors in San Francisco, and 990 Polk Street was one of the first projects to implement it. LOSP is based on a simple yet powerful premise: if homeless people are housed, they will require fewer health and other public services, and the savings derived there can be used to subsidise the rents; this rent subsidy is the key factor that enables non-profit sponsors to finance homeless housing at a level affordable to homeless households. The subsidy is calculated by assuming that tenants will pay 50 per cent of their income in rent, subtracting that amount from a unit’s operating cost (plus reserves), and funding the difference from LOSP. At the end of every year, an audit ‘trues up’ the finances, with any over-subsidy being rolled over to the subsequent year’s funding and any shortfall being paid from an operating reserve. The project has impacted the lives of 150 low-income older persons by giving them a safe, healthy, and affordable home to live in. There are now two commercial spaces, a cafe and a grocery store, on the ground level, increasing the facilities and safety of the neighbourhood and offering the possibility of interaction among residents and members of the local community. The grocery store is one of the few small businesses in the neighbourhood with fresh and healthy food options. At the policy level, TNDC played a key role in developing LOSP, participating in the discussions, conceptualising the programme and commenting on the legal documentation. 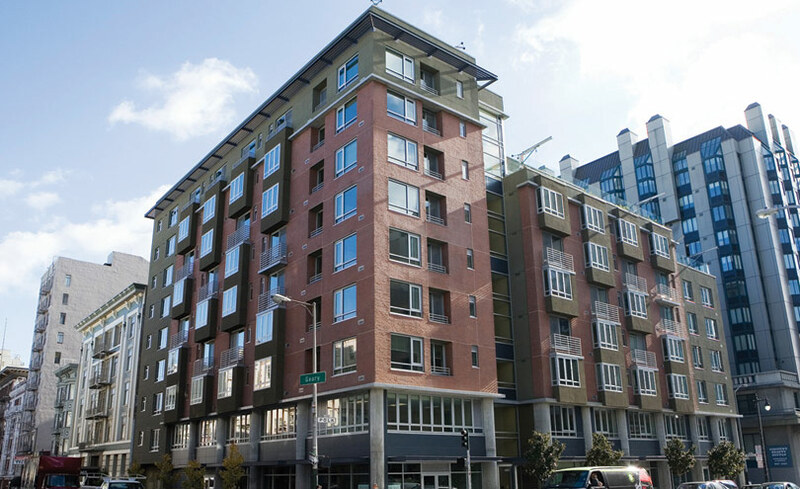 990 Polk Street was one of four LOSP projects that TNDC sponsored, all of which were among the first implemented by the City. The model has now been replicated in San Francisco to a sufficient extent to no longer represent a pilot or demonstration project, with 12 projects having received LOSP funding. The savings the City realises in reduced emergency room and other health costs more than makes up for the cost of LOSP funding. On a national scale, the project shows that formerly homeless and low-income older persons can be housed in an energy-efficient, attractive building in a good location in a central neighbourhood of one of the largest cities in the US. Formerly homeless and low-income older persons are brought together under one roof (integration in formal and informal ways). Use of the state-funded supportive housing model (LOSP) developed to face the funding shortfall for homeless people. The environmentally friendly design features and thoughtful design. The supportive service to residents, including on-site healthcare provision. Architects maximised the use of durable materials that generate minimum pollution, increased recycling and minimised waste during construction (75 per cent of the project waste was diverted from landfill). The building’s smart design capitalises on daylight to reduce energy use during the day, thus maximising passive heating and cooling. In addition, the building uses energy efficient artificial lighting and occupancy sensors in spaces that are not frequently used. It is also configured to minimise shading of open spaces (following the results of a shadow study). The heating system is also energy-efficient. In each unit, there are individual heating controls. In the communal spaces, there is a zoning system. An Automatic Temperature Control System is used to reduce unnecessary environmental impacts. The roof is designed to reflect the sun’s rays, decreasing the amount of heat transferred into the building. Water conservation is ensured through drought-tolerant planting at the pavement level, which eliminates the need for an irrigation system, as well as through efficient irrigation installed on the planters located on each roof deck. Though LOSP is a new subsidy subject to annual review, the non-renewal risk is considered by TNDC and the project investors to be very low: the City of San Francisco has as much to lose financially as the sponsor does if people are rendered homeless. TNDC negotiated a nine-year contract with the City (unusual) and created reserves to mitigate the risks related to non-renewal, sufficient to provide a two-year transition period for rental adjustment to a level covering operating expenses. The state funding (LOSP) filled the gap left by the Federal government’s unwillingness to provide sufficient rental subsidy funding to facilitate the provision of affordable housing for formerly homeless people. The energy-efficient strategy used results in significant savings on both water and electricity. The project increases the sense of community between an extremely diverse group of seniors. The on-site support services and the accessibility of city services reduce older persons’ marginalisation from wider society. The presence of local retail outlets at the street level breaks down possible stigmas associated with low-income housing, improving safety in the neighbourhood and meeting the needs of both the building’s residents and residents of the local neighbourhood. The Tenderloin After-School Programme (TASP) offers recreational and educational activities for children in the Tenderloin Neighbourhood and plans intergenerational activities with the residents of the Polk Street building. The project took six years to complete (it is typical in San Francisco for large development projects to take five years from initial acquisition to post-construction project close-out) because the City and County of San Francisco, which financed the acquisition and predevelopment costs, suspended the project for one year due to lack of funding. Careful planning is needed for the commercial space: a weakness encountered was the time required to rent the commercial spaces of the building, as the design of the space did not meet the needs of local retailers. The financial constraints under which the project operates do not easily support tenant improvement costs, and the small businesses who typically rent the commercial spaces often cannot afford to finance them either. With an integrated, collaborative approach from both Property Management and Social Services, outreach and engagement efforts with existing residents are more successful. Ongoing monitoring of building needs is carried out through annual Capital Needs Assessments. Building operating costs, inspection scores and occupancy rates are tracked by TNDC’s Property Management and Asset Management Departments on an ongoing basis. An annual Resident Satisfaction Survey evaluates resident approval of their unit, the building, perceptions of Property Management staff, and safety. In the recent survey (November 2010), all respondents were satisfied with their accommodation (57 per cent very satisfied; 43 per cent satisfied). The combined residents approach was pioneered by TNDC in the mid-1990s, when 35 formerly homeless families were moved into the 105-unit Franciscan Towers apartment complex. 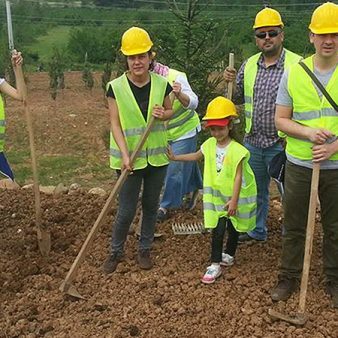 This innovative approach was replicated by CHC’s Mosaica project. TNDC shares best practices by collaborating with other national organisations such as Local Initiatives Support Corporation, Enterprise Community Partners, the Housing Partnership Network (large regional developers) and NeighborWorks (community-based organisations). The City of Los Angeles is exploring making funding available on similar terms to support the development of homeless housing. Recently TNDC was approached by the Corporation for Supportive Housing to present their experiences at the annual Housing California Conference, attended by nearly 1,500 people.